How much does a taxi ride cost? Taxi service rates are determined by taxi service operators and are not standardised. Request that the driver specify the rate that will apply prior to taking a taxi ride. The rates must also be displayed on the window of the rear passenger door of the taxi and must include information on the basic fare, rate per kilometre, and hourly rate for waiting. Does Pärnu have a facility where I can leave my pets for a while? Where can a tourist receive medical attention? If you are in need of medical care, contact the accident and emergency department of Pärnu Hospital (Ristiku 1, phone +372 447 3393). In case of emergencies, call the rescue service number 112. Is it possible to make accommodation bookings at the Pärnu Tourist Information Centre? Yes it is. The fee for making accommodation bookings is 2 €. Postage stamps are sold at Pärnu post office (Hommiku 4), in R-Kiosks throughout in the city, and at Pärnu Visitor Centre (Uus 4). Where can I find a market in Pärnu? Pärnu’s Old Market (both indoor and outdoor stalls) is located at Suur-Sepa 18. Where can I find antique shops? In Pärnu city centre, you can find antique shops at Rüütli 21a, Kuninga 32, Aia 3 and Karja 26, as well as Lao 10-3, which is located a bit further away (near Kaubamajakas department store). What are the business hours of stores and shopping centres in Pärnu? The larger shopping centres are generally open every day between 10:00 and 20:00, with the food stores closing at 22:00. Business hours may be shortened during public holidays. Smaller stores are generally open from 10:00 to 18:00 on weekdays and from 10:00 to 15:00 on Saturdays. Such stores are usually closed on Sundays and public holidays. 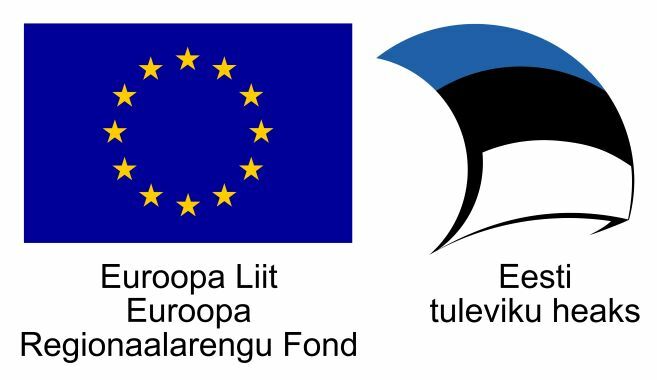 Where can I find information on Pärnu and Estonia? The internet offers convenient and quick ways to find the information you need. The www.visitparnu.com website contains information for tourists who are visiting Pärnu, and the www.visitestonia.com website provides information on Estonia as a whole. The sites also provide many different tourism publications and maps that visitors can view or download. There are tourist information centres located in every city and county centre in Estonia. These centres offer thorough information on their own region as well as the entire country. Where can I find information on buses and trains in Estonia? Information on buses is available at the websites www.tpilet.ee/en and www.peatus.ee. The Elron website at www.elron.ee/en provides information on trains. How can I reach Soomaa from Pärnu by using public transport? The most convenient way to visit Soomaa is by car, since there are few buses and the ones that do run only take you to Riisa village. How can I reach the island of Kihnu from Pärnu? You can reach Kihnu by boat from either Pärnu Harbour or Munalaiu Harbour (60 km from Pärnu). The boat trip takes 2.5 hours from Pärnu and 1 hour from Munalaiu. The timetables and boat ticket prices are available at the Kihnu Veeteed website: www.veeteed.com. In winter, when ferry traffic is cancelled due to ice cover, there is a flight connection between Kihnu and Pärnu. Is there accommodation available on the island of Kihnu? Yes there is. Kihnu has a couple of tourist cabins and a camp site. For more information on accommodation, click HERE. How can I reach Ruhnu from Pärnu? Up-do-date information on boat traffic to Ruhnu can be found on website www.praamid.ee. How can I get to Saaremaa and Hiiumaa? In order to reach Hiiumaa from the mainland, you will have to take a ferry from Rohuküla Harbour near Haapsalu to Heltermaa on the island of Hiiumaa. The trip takes approximately 1 hour and 40 minutes. There is also a ferry connection between Saaremaa and Hiiumaa. Triigi Harbour on Saaremaa is located at a distance of 46 km from Kuressaare, and Sõru Harbour on Hiiumaa is 45 km from Kärdla. The crossing between the islands takes approximately 1 hour and 15 minutes. Timetables and ticket prices for all of these ferry lines are available at www.praamid.ee.